Traditionally, arteriovenous fistula (AVF) ligation was the preferred method to address symptomatic upper extremity arterial steal syndrome associated with dialysis access; however, this required an additional operation to create new access and a period of time with an indwelling central catheter for dialysis. 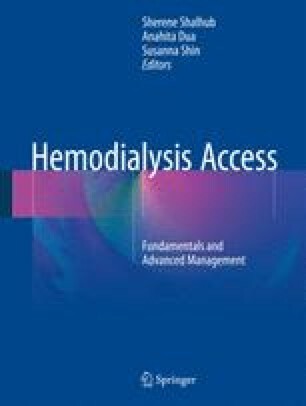 As a result, over the past three decades, a number of other techniques have been described to treat symptomatic steal syndrome while also preserving the access for dialysis. This chapter discusses steal syndrome in dialysis access.